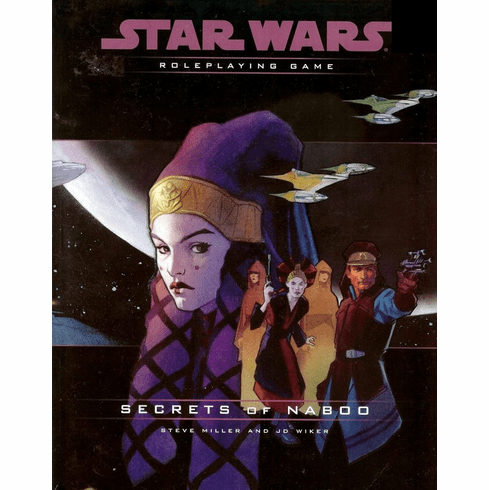 Star Wars Secrets of Naboo RPG Book details the peaceful planet of Naboo has been invaded by the treacherous Trade Federation. 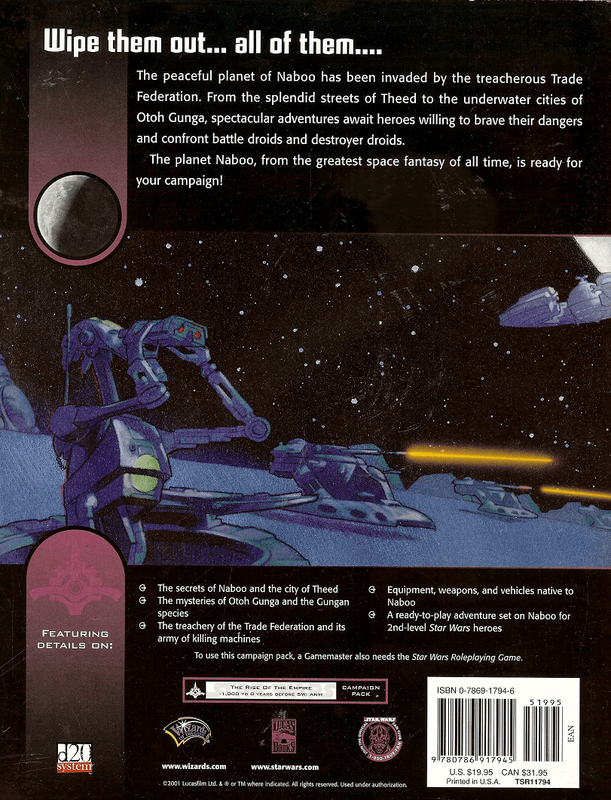 From the splendid streets of Theed to the underwater cities of Otoh Gunga, spectacular adventures await heroes willing to brave their dangers and confront battle droids and destroyer droids. 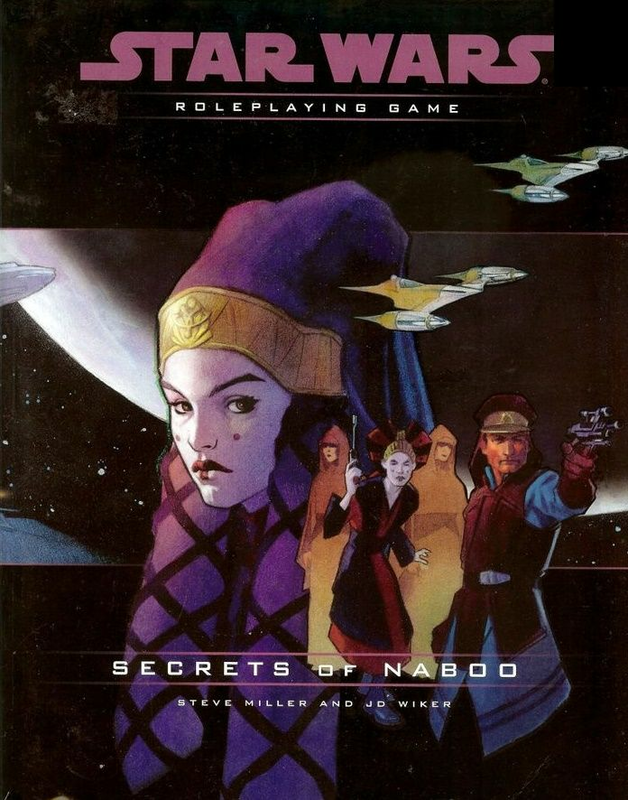 The planet Naboo, from the greatest space fantasy of all time, is ready for your campaign.